In addition to the abundance of natural wildlife that exists here in Canada, there are also a great number and variety of bugs and pests. They can be a real nuisance sometimes, especially if they make their way into the house. It can be extremely difficult to get rid of them if they set up camp. They’ll reproduce and their numbers will grow. Sometimes people are not even aware that they’re doing things that may cause infestations in their homes. 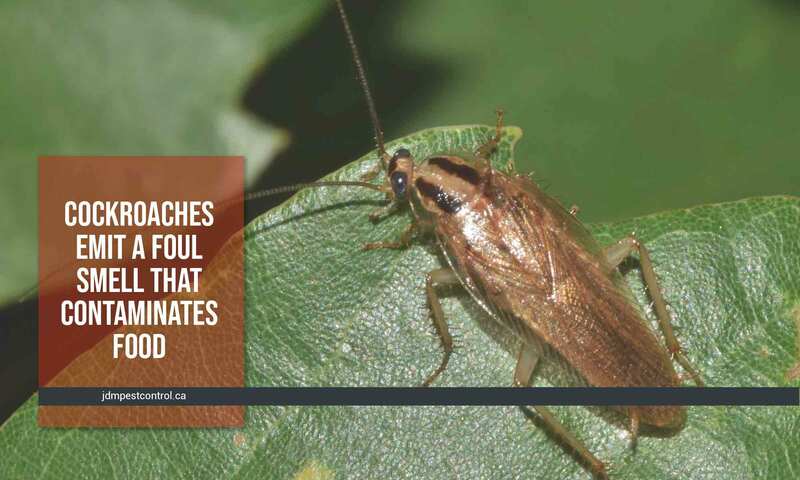 Here are some of the most annoying pests, with tips about how to deal with them effectively. Spiders are common to this area of the world, although most of them will not hurt people. They are a nuisance, though, and most people want to get rid of these insects when they start nesting in a house. There are two common types of spiders in Ontario: cellar spiders, and common house spiders. Cellar spiders live in basements, cellars, attics, closets, or any other dark areas in the house. They are communal creatures who build homes near other spiders of their kind. To get rid of them, first clear out their nests using a vacuum cleaner or broom. These spiders eat other small insects like flies. If you prevent other insects from getting in the cellar, spiders will have no food source and no reason to stay. Seal off any possible entry points (including cracks in windows, doors, or ripped screens). The same approaches will prevent the entry of common house spiders. These spiders live in quiet, dark areas of the house. A male and female share a nest, and other females will build their nests nearby. The most common species of wasp is the social species. German wasps are the most threatening of the social wasps, and the boldest. These are the wasps that will try to eat your picnic lunch or swarm around the garbage. Occasionally one will slip inside the house through an open door or crack. The biggest risk is that you’ll get stung, which is painful until treated. 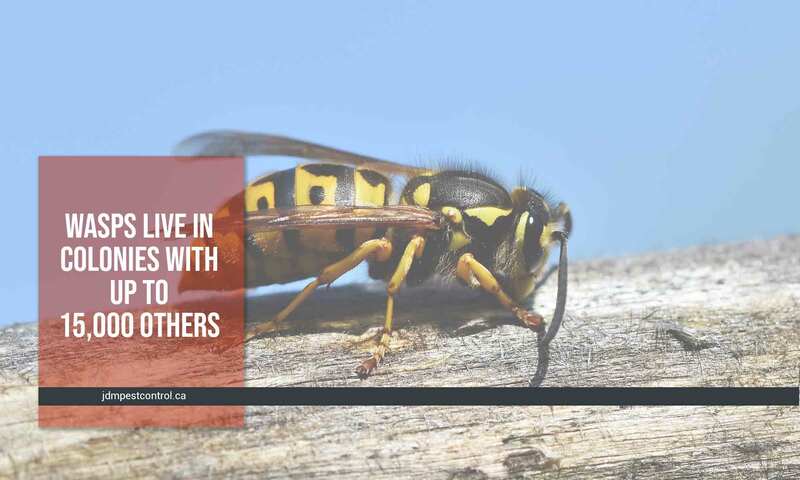 Getting rid of wasps isn’t necessarily beneficial, since they have some positive jobs to do, ecologically, and they’re important for the environment. They pollinate flowers, eat small insects (like flies and other bugs), and they serve as food for small mammals. To keep them to a minimum in the yard, have their nest removed by a professional, and try using a “wasp catcher” with sugar water inside. When ants infest the house, it can be a real problem. Any crumb of food left around brings them swarming. They reproduce so quickly that they can practically overtake the house if they aren’t dealt with swiftly and thoroughly. There are some natural solutions for killing or discouraging them, but an infestation requires professional assistance. Getting rid of ants entails finding their single entry point to the house. Ant nests tend to sit on soil or grass, so if pest professionals find and treat their nest outside, all the better. Sealing off their entry point will go a long way towards keeping them out of the house. Beetles are incredibly common in North America, and they are one of the most widespread insect types on the planet. There are at least 300,000 species that exist. Some of the most typical beetles in Canada include the ladybug, the carpet beetle, and the powderpost. Powderpost beetles live in wood structures and other building materials in great numbers. Ladybugs eat insects that commonly destroy crops, so they can be helpful. Carpet beetles hide and often go unnoticed, but they eat materials like wool and silk so they can be destructive. 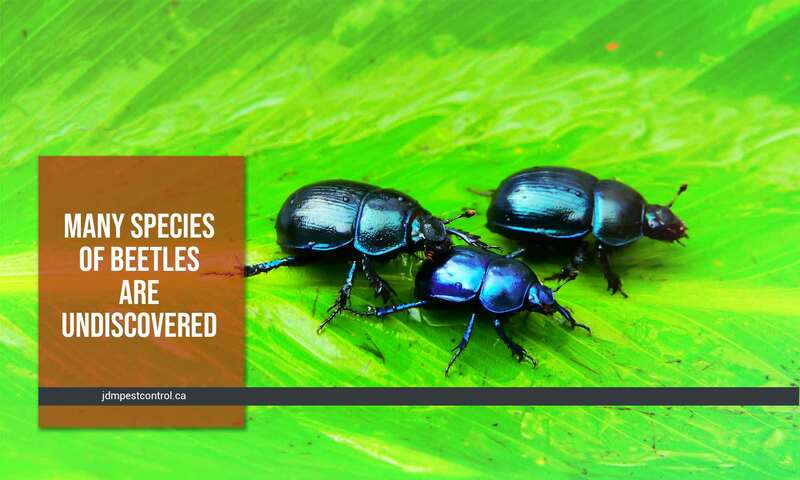 In order to get rid of a beetle infestation, first consider the species. Powderpost beetles are repelled by wood varnish, so spray some on your wood structures. Varnish also stops new eggs from being laid, and it closes holes in the wood where beetles could hide. Carpet beetles are hard to get rid of because they hide and find food in obscure places. Keeping the house extremely clean and calling an exterminator are the best ways to handle a beetle problem. Keep the house clean at all times. Try not to leave any food out. Take the garbage out every day and wash the bin twice a week. Repair leaky taps or pipes where cockroaches may hide. Wash containers before putting them in the recycling bin. Take out the recycling every day. There’s not much that’s more unpleasant than an infestation of house flies — or fruit flies — in the house. Flies are a risk to the physical and mental health of everyone in a residence. They’re unpleasant, and they can carry diseases that can easily be passed on to humans. Many people believe in home remedies for getting rid of flies. However, they’re largely ineffective. 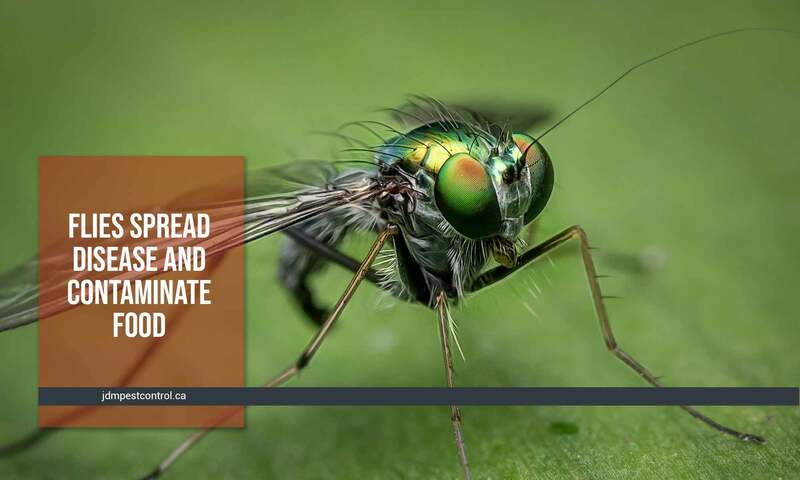 Because fruit flies are slightly less of a nuisance, they sometimes can be tolerated until they die off, or a few DIY tricks can manage their indoor population. 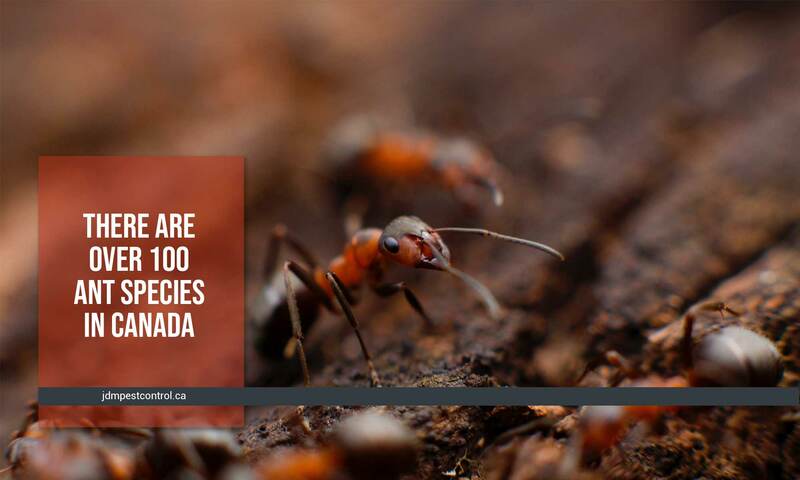 The primary termite species in Canada are the eastern subterranean termite (Reticulitermes flavipes), the western subterranean termite (Reticulitermes Hesperus), and the Pacific dampwood termite (Zootermopsis angusticollis). The subterranean termites are the ones that damage buildings and homes. 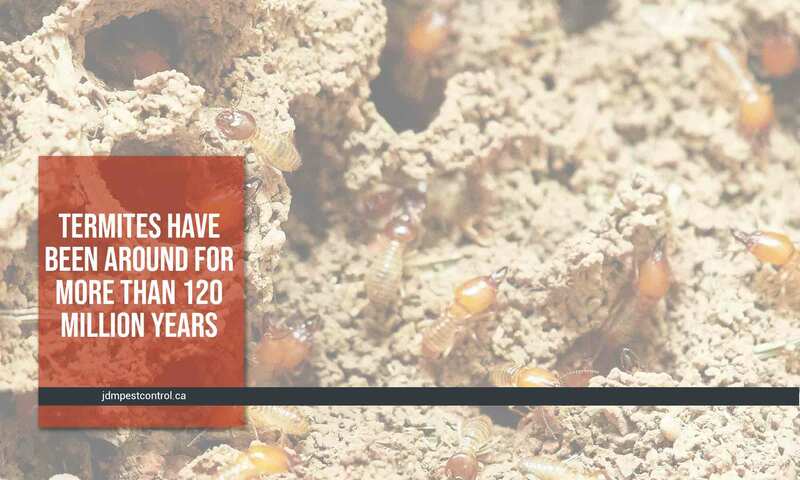 Generally dampwood termites are found in homes where there is too much moisture. If there is a termite infestation, you will have to call a pest control service. To prevent them from coming into your home in the first place, fix any leaks and store firewood away from the house in a dry location. Trim shrubs, vegetation, and trees so that they don’t create a path for termites to get in. 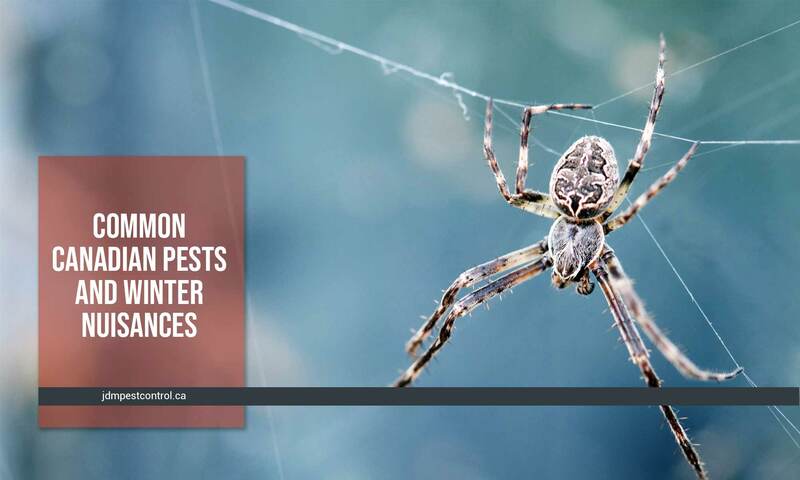 We hope these tips will help you to identify the pests that enter Canadian domiciles and workspaces. If you see these bugs, call for help! Take control of your space by keeping insects out, no matter the season. If you have an infestation get rid of them for the sake of everyone’s health. JDM Pest Control is happy to help with any of your extermination needs. 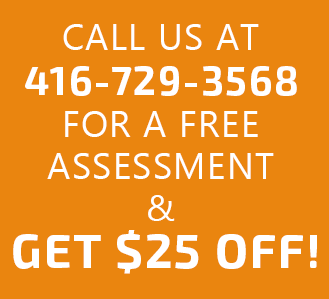 Give us a call at (416) 729-3568 or email us at joe@jdmpestcontrol.ca. Here’s to a peaceful, pest-free home!